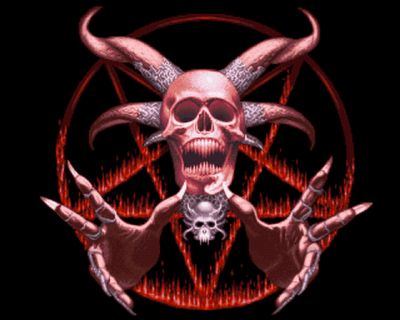 The Church of Satan is an eclectic body that traces its origin to many sources – classical voodoo, the Hell-Fire Club of eighteenth century England, the ritual magic of Aleister Crowley, and the Black Order of Germany in the 1920s and 1930s. (2) the openness of its magical endeavors. Anton Szandor LaVey, High Priest. The Church of Satan was formed on Walpurgisnacht, April 30, 1966, in San Francisco California, when Anton LaVey proclaimed the beginning of the Satanic Era. Initial growth came from coverage in the mass media. Articles included coverage of LaVey holding a funeral for a member of the U.S. Navy killed in San Francisco. ORGANIZATIONAL STRUCTURE: The Church of Satan is focused in the Central Grotto in San Francisco. It accepts or rejects all potential members and charters other grottos (congregations) around the country. Isolated individuals relate directly to eh Central Grotto. Power to regulate members is in the hands of the Head of the Church. the performance of rituals, though pastoral and organizational abilities are not minimized. to conduct services and is authorized by the Central Grotto. WHO MAY CONDUCT A RITUAL? Anyone, but a priest is required for group worship. used for anger, annoyance or hate. Grottos often gather on Friday evenings for group rituals. other drink most pleasing to the palate), a sword, a model phallus, a gong, and parchment. A private place where an altar can be erected and rituals performed. The highest holiday in the Satanic Religion is one’s own birthday. Walpurginsnacht (April 30) and Halloween are the most important. the first day of the new seasons – are also celebrated. should be contacted in case of death. where it is necessary to safeguard the health of others. IS A PRIEST REQUIRED AT THE TIME OF DEATH? Lucifer, the bearer of light, the spirit of the air, and the personification of enlightenment. of nature. To the Satanist, the self is the highest embodiment of human life and is sacred. encouraged to develop whatever capabilities they can by which they might excel. thought, such as Mark Twain, Niccolo Machiavelli, G.S. Shaw, Ayn Rand, Friedrich Nietzsche, etc. groups which have been found to engage in illegal acts. HOW DOES THE CHURCH OF SATAN RECRUIT NEW MEMBERS?